No one else sees this man until Jesus sees him because of his particular malady and social stigma that keeps people from seeing him for who he really is. If they see him, what they see is not him; they see a blind man while Jesus sees a man born blind. John uses irony to get his reader to see the man who can see, sees the man who can’t see; in seeing the man who can’t see, he lets us see God sees. This man is like any us who think we would not be missed by anyone, since we don’t appear to be much to anyone, anyway. Person’s identities can be misshaped by internalizing how others see them. They think of themselves as a defect, victim; or the sum of their failures because that is how everyone else seems to sees them. Eventually, their identity is warped as they’re unable to see beyond their own difficulty. I have tried to underline throughout this series that asks the question who am I, that our identities are stamped with image of God. God breathed the divine wind into the first human to make us God’s own; a child of God who is capable of doing the good works of God in the world. What God meant at creation when God said, “It is good!” was what God made in the beginning was good and will always be good. We spend a lifetime in a sinful world chipping away at the good work of God. God spends our lifetime trying to restore what we mar by loving us back into relationship. Jesus came into the world to open up our blurry eyes, so we might see who we are through the eyes of God. The way to clear up our blurry vision about our own identities is to read the stories of Jesus from the inside out. John does not tell us the man’s name, so we might fill in our name. So, walk into this story with an open minds and willing hearts; hoping to see clearly what God is doing in our lives, so we may have a clearer picture how God sees us as we are a child of God. The story starts by Jesus refusing to engage in a dead-end discussion about cause when asked, “Rabbi, who sinned, this man or his parents that he was born blind?” He knows are tendency to rush to cause when we encounter problems; a fruitless pursuit that changes nothing. What if the man’s father had smoked three packs a day and mom drank a fifth each Friday, the man would still be blind. It’s enough for parents to have a child born with real challenges visible or invisible, without piling on with theological speculation about fault. The more productive approach is to be open to what God can do in our difficult and perplexing situations. Jesus says this man’s blindness had nothing to do with sin. Jesus says, “Neither this man nor his parents sinned; he was born blind SO THAT God’s works might be revealed in him.” One way to take SO THAT is to say God made the man blind, so that God might be revealed in the man. God doesn’t need darkness to show light. Light is God’s creative work, for God said, “Let there be light” before anything existed except God. A man born into darkness isn’t God’s creative work. A man born blind falls into the mystery, which we do not understand well enough to say anything more than God is good and God can redeem any challenge in our lives. 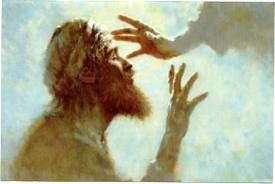 The more constructive way to interpret Jesus’ SO THAT is to understand what God might do through this man’s blindness. Jesus attends to what is left of this man’s identity, instead of what is missing in his identity. 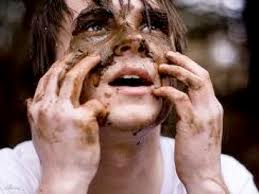 Jesus spits on the ground, grabs a handful of mud, and rubs it on the man’s eyes. Jesus doesn’t say anything or lay hands and pray. Instead, he offers him home-baked meds and tells him to wash in the pool of Siloam. John says the name of the pool means SENT. It is the Latin word “missio”, which we get our wordMISSION. This tells us God makes known the work of God in our lives, no matter how dark life may seem. We see more clearly the work of God in our lives and understand how God sees our identities when we are in mission with God in the world. God is always up to something in shaping our identity. We will see that more clearly when we are walking in God’s purposes of loving God and neighbor, both in times when God is changing things and when nothing seems to change. Sometimes what God is up to in our lives is to shape our identity by dramatically changing the difficulty we are facing. There are times we get to witness God fully restoring or transforming our identity in the midst of a challenging condition. Sometimes we experience miracles. Our 21st century world has made people of faith fearful to make this claim because we live in a world that prefers rational explanations than supernatural interruptions. 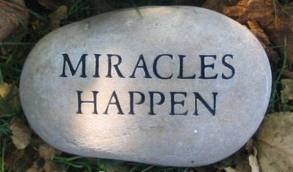 Sometimes it’s a miracle; we should not be afraid to give God the glory when something inexplicable happens. We can still strive to understand something while at the same time calling it a miracle. God can change the circumstances of our lives and change us. When that happens we call it what it is and give God the glory for making our identity new. Sometimes what God is up to in our lives is to shape our identity by not changing anything about the difficulty we face. We hear people speak of their unchanging suffering situation as a way for God to show divine wonders through their affliction. 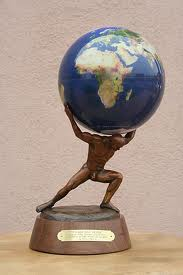 I will not correct a person who is bearing up under such a burden and makes this claim. We can truly know certain things only by going through them. We who haven’t suffered much ought to be slow to speak with certainty about such things because it is a place where there’s no company; nobody can necessarily follow a person there. We have observed how person’s faith does not change when something remains resistant to change despite longsuffering pleas to God. What does change in those who live long with a tremendous challenge is what they believe about whom they are and what is happening to them as they reside in an abiding struggle. We don’t claim faith so we might know supernatural remedies for all our problems. That is a selfish faith that finds little roots in the soil of life. 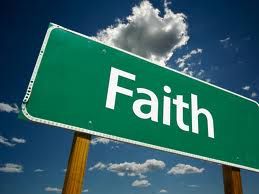 Faith is claimed in our lives, so we might experience the supernatural regardless what changes or what stays the same. For example, some suffering is useful to us and to God. Suffering can be more instructive than a long trip to the Holy Land. Sometimes what God is up to in our lives is to bring about work that would not happen if our vision had not been blocked by the distressing condition so we might see clearly what might be because of this struggle. 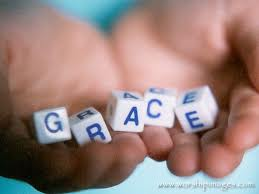 It is in this place where we can experience God’s best mercies beyond normal routine of lives. I have not known much affliction. I wait my turn, learning from those who have learned from Jesus and this blind man. I have watched people walk this road, allowing the work of God to shape them for the better by the grace of God. So in the meantime, I try to sharpen my vision by gleaning from nicks of flesh and spirit in my life. We all need to be ready to interpret Jesus’ SO THAT, by being able to see more clearly what God is doing in our lives when we experience greater tests. This happens in many ways. Consider what happens when a person is diagnosed with a disease that needs funds for a cure. We are mobilized to donate funds for research. A friend learned he was diagnosed withHutchinson’s disease and it would likely affect his two children. For several years, 100 of us would play 100 holes of golf in a single day for pledges made based on how many holes we would complete in the allotted time. To keep us honest donations were higher for lower scores. A diagnosis can produce a lot of good works for lots of people; giving purpose so suffering becomes redemptive for others. Not all circumstances that blur our identity need be physical sickness or disability. Any difficult circumstance can imprint our identity with something we can carry into tomorrow. Life experiences are our best teachers. Think of experiences that caused your vision to be blurred for a season, but would shape us for better. Charles Colson started Prison Fellowship after jail time because of the Watergate scandal. Recovering alcoholics help other alcoholics recover. Those who have known grief over a lost child or a suicide help others going through the same things. Things don’t have to have to be difficult to clear up blurred vision. People returning from the recent Holy Landexcursion will tell stories how they now know there were things they didn’t see clearly before the trip. After experiencing the places where stories of faith unfolded, they see things differently, including themselves. You do not have to travel thousands of miles for this to happen. Those who shared ashes at the train station as well as those who serve neighbor near or in a mission field abroad are equally participating in mission. Serious life challenges, far reaching excursions, simple circumstances, or daily life can equally open our eyes and clear up our blurry vision if we are looking for the work of God in them. 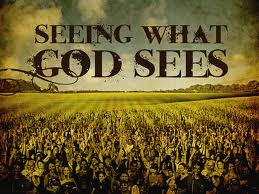 God wants to open our eyes to see the way Jesus sees us. We don’t have to wait till things worsen to have your eyes opened. We simply need to be willing to wash in the pool of Siloam; dive into mission; become immersed in the work of God. Blind faith is never sufficient. We will not see clearly without a life of mission. This is the key to clearing up blurred identities. In the end our ultimate hope is to give glory to God who helps us see more clearly the hand of God in our lives and thus we see more clearly how God sees us, whether it is in the midst of strenuous suffering or a routine day. Have you washed in the Pool of Mission! Do so today! 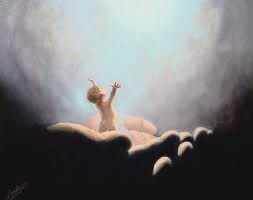 “The Born Identity” John 3:1-17. We are spending the weeks of Lent examining our identities by looking at the main characters in John’s gospel. We are using these narratives as mirrors to see what in our identities need to be shaped by God’s graceful hands. 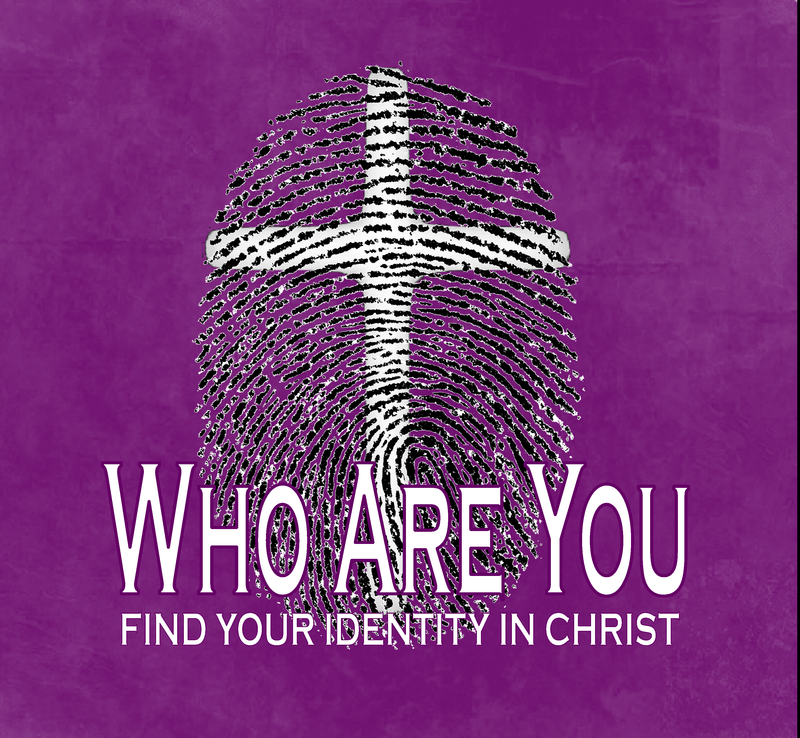 This morning we come to a man, who like us, wants to know how his identity is related to God. In other words, how do we know we are stamped with the image of God and made as a child of God?. Nicodemus is a religious person, a Pharisee, a member of the ruling council. We neglect to realize even insiders who appear on the outside to be religious have spiritual longings not fulfilled. Church people have identity crisis. Every person who hears my voice knows of places in their soul where the good news of Jesus Christ has yet to wholly define them. Nicodemus, “Rabbi, we know you’re a teacher who has come from God”. He uses groupthink; saying “we know”. We are safe as long as others think like we; such as the unemployed are lazy, teachers are the problem with our schools, and or the president is ruining the country or congress cares only about themselves. Group think excuses me from my responsibility. Using groupthink to remain stuck in our same old religious ways is committing spiritual suicide. We do not have to examine the empty places in our lives; we walk the way of everyone. Nicodemus says he knows; but like we, he knows there is much he doesn’t yet know and hopes to know about who is in relationship to this one who has come to offer new life. We expect Jesus to offer Nicodemus a clear plea. Jesus is unclear, using double talk to get him thinking past the things he already knew. Jesus; employs images instead of ideas. He says, “You must be born again”. The Greek word John uses is “anothen”, which can mean “born again” or “born from above.” Nicodemus took it the first way. “How can a man crawl back into his mother’s womb and be born again once he is old?” Jesus tells him being born of flesh is one thing-the water breaks and out we come; being born of Spirit is another thing-our spirit has to break, so our lives can be opened up to makes room for the Spirit to give birth to a new identity. Jesus punctuates the conversation not by judging Nicodemus. Instead he assures him by speaking the most commonly memorized verse in the Bible, John 3:16. He retells him the good news of God’s intent from the Garden to be in relationship with God’s creation has not changed. God’s love will go to all lengths to restore the image of God within him and bring him back into right relationship as child of God. 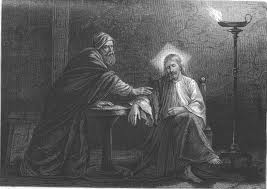 Jesus invites Nicodemus to let go the control he has over his life by his “we know this and we know that” so the Spirit of God can move his spirit. We come to places in our life when we realize the way forward is to believe in something we cannot know, more than believing in that which we already know. God’s preceding grace is at work nudging, poking, and sometimes pushing us to places, so we will quit looking around and start looking up to understand who God made us to be. Meaningful spiritual conversation about who we are in relationship to God begin when we admit we don’t have all the answers within us nor are they in front us. It is when we give up and look up that we see what we have been looking for comes from above us by a grace that happens from beyond us. It happens in places of our identities that can’t be spotted on an MRI or plotted on an SAT. It breaks my heart to see pastors and people going through the motions of the faith; forgetting they are wandering through a wonderland of grace. People, both inside and outside the church, keep leaning on how much we know. I am tired of trying to get it right. Something else is missing beyond handle-able knowledge and reasonable words. I think there is a hunger for meaning in life that goes beyond trying to collect enough data on our personal and spiritual hard drives. Our Herculean pursuits of seeking to know may be what are keeping us from fully experiencing the good news. The way forward in the life of faith is not about memorizing more information, reciting more elegant prayers, or being a member of the right church. Our identities can be made new or renewed when we allow them to be born from above-the source of all life. This happens to us more than something we make happen. We are invited to let go of what we know, and believe in one who says nothing is impossible with God. P & Q interviewed Ugonna Ohuana for ordination this week. Her husband, Bishop Sunday, is United Methodist and still serves in their native land of Nigeria. She is here completing her education and ordination process with one of their children. I have had the privilege of sitting in the theology room as a member of the ruling council for the last four years, asking people if they know and have integrated what they know about God into their lives. Salvation comes down to the movement from the horizontal to the vertical, from sideways knowing to upward knowing, from being born from below to being born from above. This takes a faith leap to be willing to look up to be born from above! This happens as we keep our eyes looking up for the grace of God being revealed in ways greater than our past experiences or our liminal imaginations . We are to move from being self-made to spirit-born; from having an achieved identity to a born identity. When this happens from above us and impacts what is within us we are born again. What Jesus wants Nicodemus to know is, he will never know himself until he is born into the world to come; this takes a Spirit-birth. 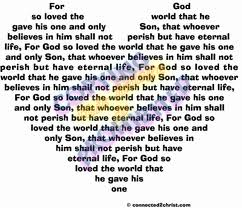 Many of us know: “For God so loved the world that he gave his only begotten Son, that whosoever believeth in him may not perish but have everlasting life” by heart. Do we really know it BY HEART? Is there a corner of your identity ready to be placed at the altar of mercy and be born from above?